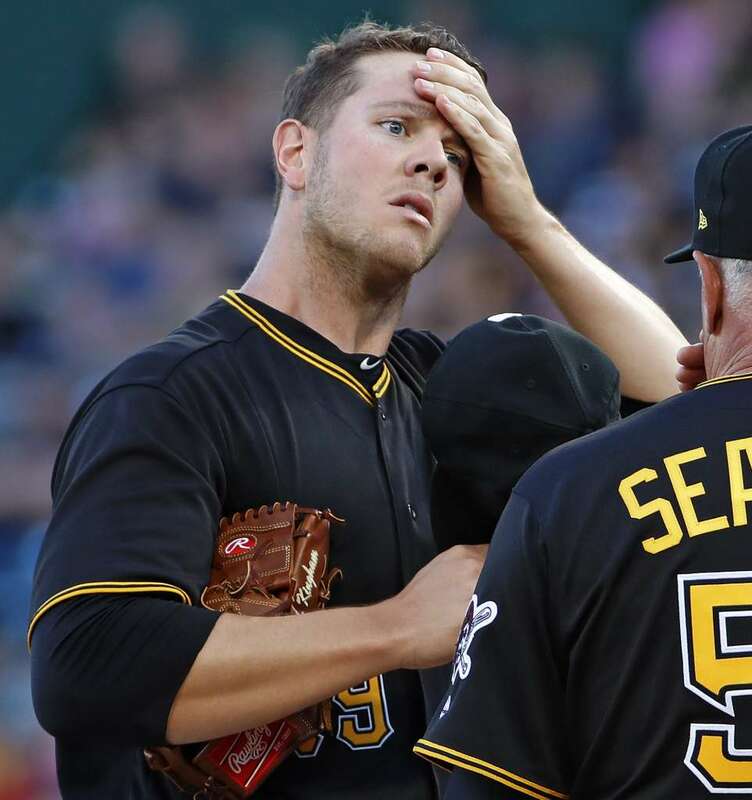 Rookie starter Nick Kingham got hit early in his spot start Saturday, but still gave the Pirates a quality start. The offense, on the other hand, could not pick him up, and the Bucs dropped their second straight to the Padres 6-2. Kingham’s third career start got off to a rocky start, allowing three consecutive RBI doubles in the first inning. From there, he settled in, only allowing two more hits, no walks and no additional runs in his six innings of work. Manager Clint Hurdle sid Kingham’s offspeed stuff played better as the game went on. Kingham had seven whiffs and four called strikes on 40 offspeed and breaking pitches on the night. Kingham said he knew he had to keep attacking after his ess than ideal start. Padres’ starter Clayton Richard, conversely, was off and running from the start, firing seven shutout inning before eventually getting tagged for two in the eighth. Richard relied heavily on his two-seamer, especially on the glove side. “We tried a couple different things, but weren’t able to push him until late,” Hurdle said. 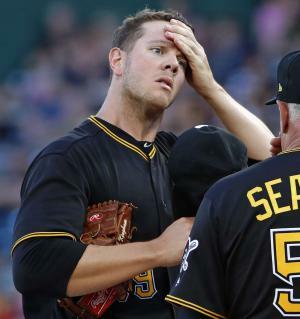 The Pirates did pull within two in the eighth, but reliever Craig Strammen stranded runners on second and third by striking out Jose Osuna and getting Francisco Cervelli to fly out to left. Tyler Glasnow was tagged for a solo home run by Cory Spangenberg in the eighth- his second inning of work. George Kontos pitched for the first time in a week in the ninth, allowing two runs- one earned- and a home run. Kingham loses his first big league game, falling to 2-1. Richard improves to 3-5. The Pirates and Padres will conclude their four game set Sunday at 1:35 p.m.. Trevor Williams (5-2, 2.72) will go up against his hometown team, opposing Jordan Lyles (1-1, 2.53). 1. Bell hit a seventh inning triple- his third of the year. Since the start of 2017, he leads all first basemen in triples (9). 2. The Pirates had four eighth inning hit, raising their season tota to 47 hits in that particular inning. The only National League team with more hits in that inning are the Atlanta Braves. 3. Konto has been scored on in four of his last five outings (five earned runs in 4.1 innings, 10.38 ERA).